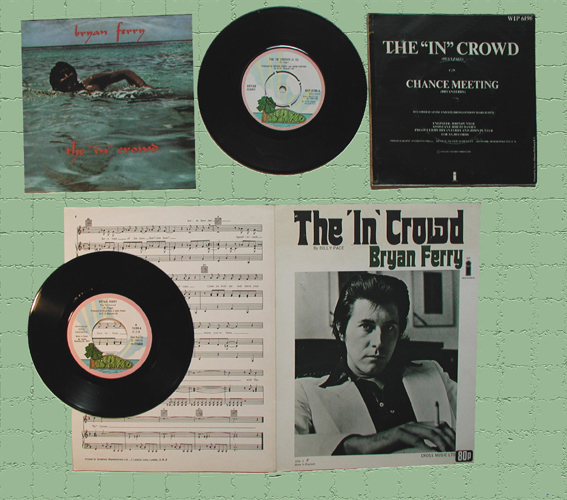 Lyrics to the song The 'In' Crowd as recorded by Bryan Ferry. This track, originally recorded by Dobie Grey, was released by Bryan Ferry as single. It peaked at number 13 in June 1974 on the UK charts. "The backing tracks where finished with all the horns etc etc , and Bryan had done a guide vocal by the time i arrived at the studio. We recorded it at Pete Townsend's Ramport studios which was hidden underneath a tower block in Battersea. Townsend had record 'Quadrophenia' there. There was an amazing atmosphere to the place"